The RSF supermini series are ultra-small AC servo actuators combining ultra-precision control deceleration device Harmonic Drive® that provides precision rotation operation at a high torque with ultra-small AC servo motor developed to make use of the performance of the decelerator. Actuators with an electromagnetic brake are also included in the lineup. They can meet fail-safe requirements of equipment to prevent accidents upon power supply failure. The dedicated servo driver HA-680 is an AC servo driver for 24VDC power supply. 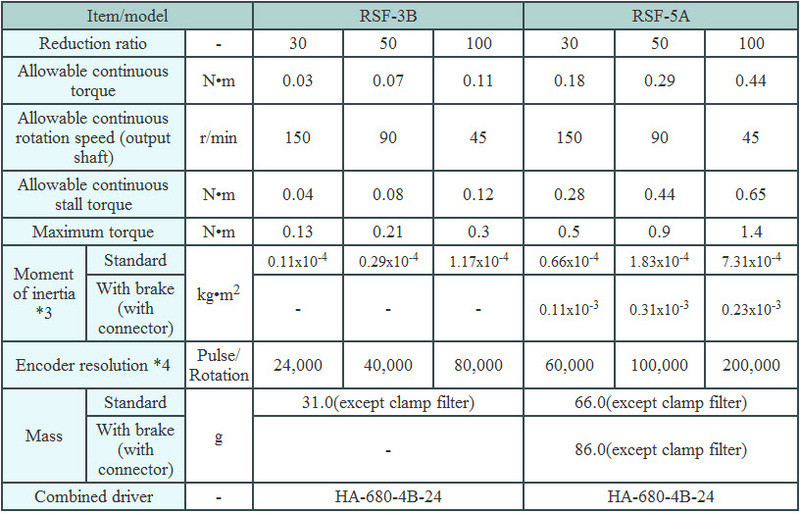 The small and multi-functional HA-680 driver is equipped with position control, speed control, and torque control as standard to control operation of the RSF supermini series correctly and precisely.